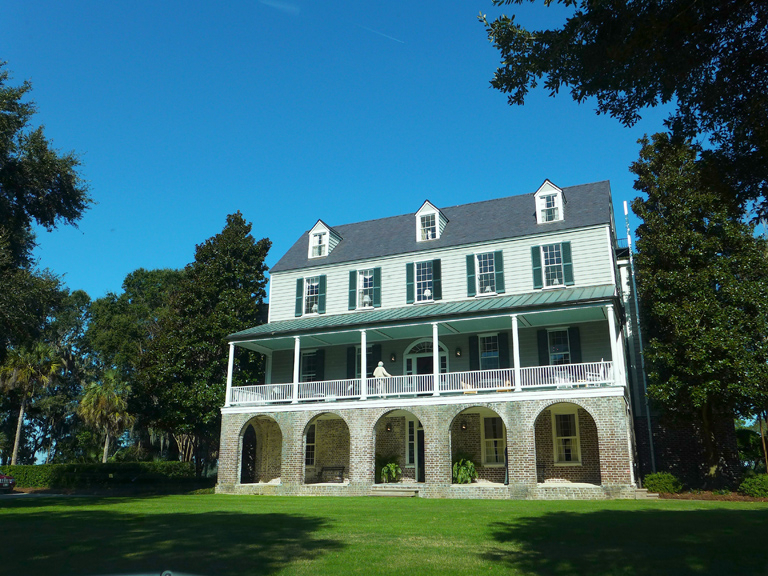 This plantation was located on the whole of Kiawah Island and bounded by the Kiawah River, the Stono River, and the Atlantic Ocean. Origin of name  Kiawah Plantation, Kiawah Island, and today's Kiawah River (which separates Kiawah Island from Johns Island) are all named for a Cusabo tribe that lived on the western shore of the Ashley River when the English settlers landed there in 1670. In fact, area tribes called this river the Kiawah River. As more settlers arrived, the Kiawah were pushed westward, and the name Kiawah River was changed to Ashley River. Captain George Raynor was granted 2,700 acres by the Lords Proprietors on March 29, 1699. Englad had traded with the Kiawah Indians in 1675 for the island (2). 1719  Raynor divided the island in half, selling one portion to Captain William Davis. Raynor retained the other part and left it to his daughter Mary Raynor Moore upon his death (2, 6). 1737  John Stanyarne purchased both holdings and the island was one again. Stanyarne raised cattle and indigo on the plantation (2). 1772  Stanyarne died and the island was once again divided into two. He left the western portion to his granddaughter Mary Gibbes and the eastern side to his other granddaughter, Elizabeth Vanderhorst. Elizabeth was married to Arnoldus Vanderhorst II (2). Vanderhorst built a house but it was destroyed in 1780 by the British during the American Revolution (2). 1801  Arnoldus Vanderhorst II began to build another house on the plantation (2). 1802  James Schoolbred, South Carolina's first British Consul, acquired the western portion of the island (6). 1815  Arnoldus Vanderhorst died and the plantation passed to his son Elias Vanderhorst (2). Circa 1858  Arnoldus Vanderhorst IV took over the plantation from his father Elias (2). Late 1800s  The Vanderhorst family acquired the western portion from the Schoolbreds thus owning the entire island (6). 1881  Arnoldus IV died in a hunting accident and the plantation passed to his wife Adele (2). 1915  Arnoldus Vanderhorst V inherited the plantation upon his mother Adele's death in this year (2). 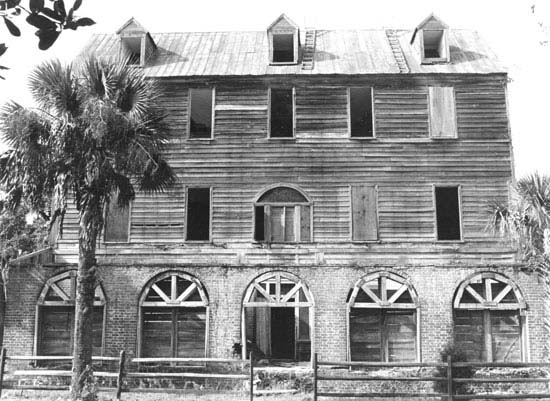 1951  The Vanderhorst family retained ownership of Kiawah Island until this year when it was sold to C.C. Royal for $125,000 (6). 1964  C.C. Royal died and the island passed to a family trust (7). 1974  The trust sold the island, except for 21 beachfront acres, to developer Coastal Shores, Inc., a Kuwaiti company, for $17.385 million (7). Today  The island has been developed into a private residential community and golf resort (7). The house built by Arnoldus Vanderhorst II in 1801 still stands today and has been fully restored.